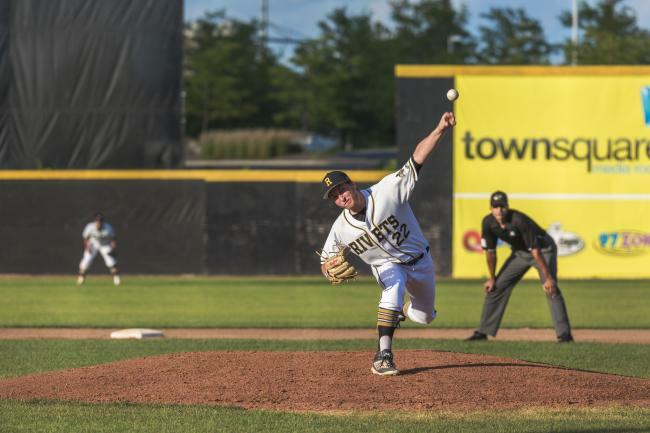 With a name unique to Rockford and strongly tied to the city’s manufacturing history, the Rockford Rivets is the local Northwoods League elite college wood bat baseball team. Put on your black and gold and cheer the Rivets on at the Rivets Stadium located in nearby Loves Park. The Rivets play their home games at Rockford Rivets Stadium. A complete schedule and ticket information is available here. The Northwoods League is the largest organized collegiate baseball league in the world with 18 teams, drawing significantly more fans, in a friendly ballpark experience, than any league of its kind. With top professional prospects on the field, the Rivets strive to create an exciting atmosphere through promotions, entertainment and restaurant quality food, giving you an entertaining night out. More than 140 former Northwoods League players have reached the majors including Chris Sale (White Sox), Ben Zorbrist (Cubs), Cy Young winner Max Scherzer (Nationals) and Curtis Anderson (Mets). Other Northwoods League members are the Madison Mallards, Kenosha Kingfish, Lakeshore Chinooks, Wisconsin Woodchucks, Duluth Huskies, Eau Clare Express, La Crosse Loggers, Thunder Bay Border Cats of Ontario, Green Bay Bullfrogs, Wisconsin Rapids Rafters, Battle Creek Bombers, Kalamazoo Growlers, St. Cloud Rox, Willmar Stingers, Rochester Honkers, Mankato Moondogs, Waterloo Bucks, Bismarck Larks, and Fond du Lac Dock Spiders.